Rockford Mayor Micki Harnois hopes that the new designation of Highway 27 from Rockford to Tekoa as a scenic byway will help boost businesses and tourism in her small south Spokane County town. The idea of getting the state to designate the highway as scenic has been around for years. “I’ve always had it in the back of my mind,” Harnois said. Last summer she decided to move ahead and started asking how it could be accomplished. She called her local legislators, including Reps. Susan Fagan, R-Pullman, and Joe Schmick, R-Colfax. Bills were sponsored in the House and Senate to name the section a scenic byway. Harnois testified in a Senate hearing and brought a presentation loaded with pictures of historical places along the route, including the White Swan Hotel in Latah and the transmission station in Rockford. She got letters of support from the mayors of Latah and Fairfield as well as from Spokane County Commissioners. The governor signed a bill into law in April that names Highway 27 from Rockford to Tekoa as a new scenic byway and also Highway 278 (Hoxie Road) from Rockford to the Idaho state line. Harnois said Highway 27 is frequently used by bicyclists and she would like to work with them on making improvements to the road. “They’re the ones that use it all the time,” she said. 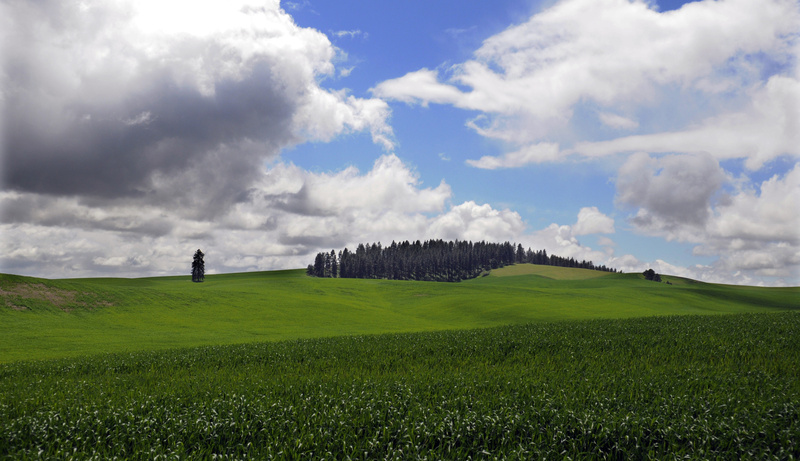 As her next step Harnois said she plans to meet with representatives from the group that manages the Palouse scenic byway, which is Highway 27 from Tekoa south to Pullman, to see if they can work together in applying for grants.